Wet Sounds is a collective touring swimming pools, hhere they perform listening sessions to a floating and diving audience in the water. 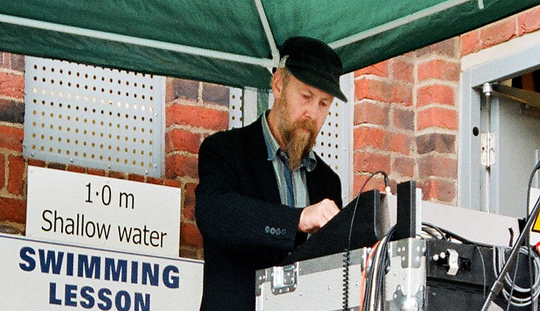 Wet Sounds, created by Joel Cahen, first toured 10 cities in the UK in July 2008. Opening at in the London Fields Lido in Hackney and closing there with a performance of Nurse With Wound.